@fynestchina proves that Filipino moms give the scariest death stares. You know how Asian moms (especially Filipino ones ) act so differently from their Western counterparts? I mean, let's face it: the rules are sometimes stricter, the dynamics are different, and you KNOW a Filipina mom or tita when you see—and hear—one. An Instagram account under the username @fynestchina spoofs typical Filipino moms. It's run by a 20-year-old Ilocano/Kapampangan who's now based in San Francisco, California! His videos feature a fictional character named "Cassandra Mae" and we get to see Cassandra's funny/dramatic/painful moments with her mom, her sister Kiara, and her ~American~ counterpart named Samantha. 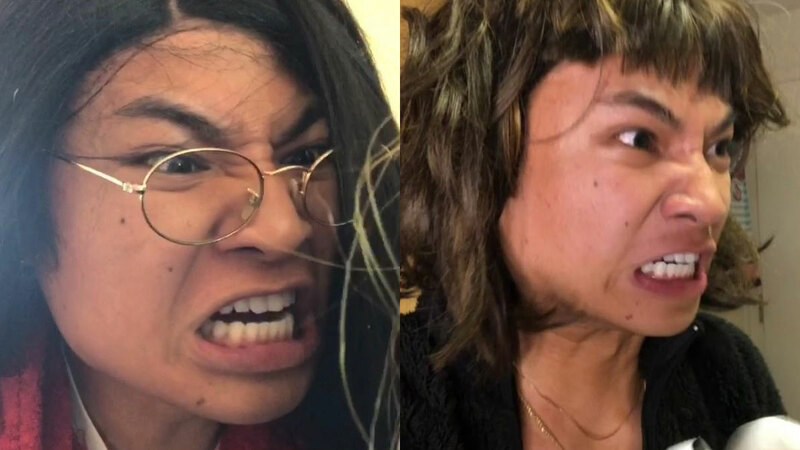 Check out some of @fynestchina's videos with her "mom." 4. Remember when you fought with your sibs as kids and your mom would give you that *death stare* so you'd behave? 6. We even see Cassandra's dad! "You can go if your dad says you can go!" 8. Has this ever happened to you while you were sleeping? Because some moms really loooove to clean. 10. And, finally, here's how some parents apologize: With food.